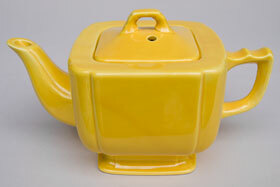 Riviera pottery is a small line, consisting of less than twenty pieces. The teapot is one of the few lidded pieces and highlights the distinct stylistic elements of Riviera - square shapes, scalloped corners, tab handles and minimal, yet dramatic, highlighted edges. 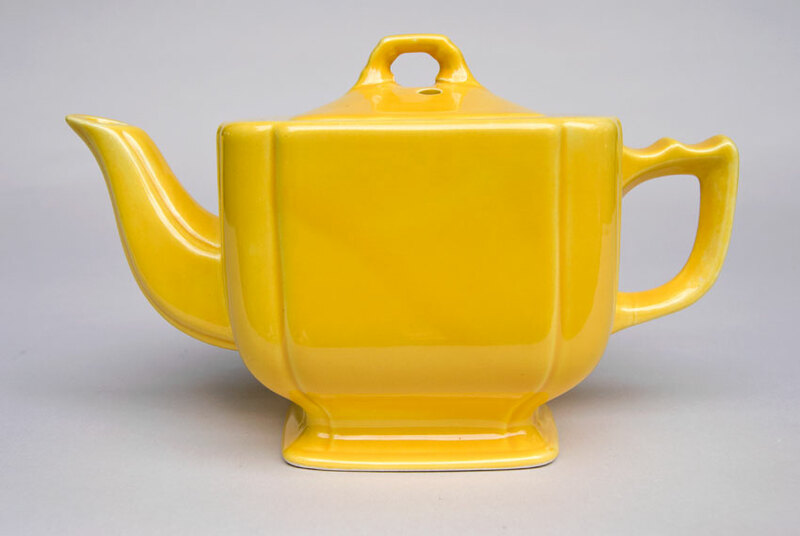 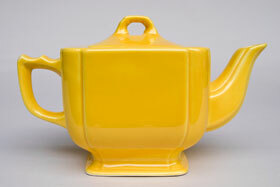 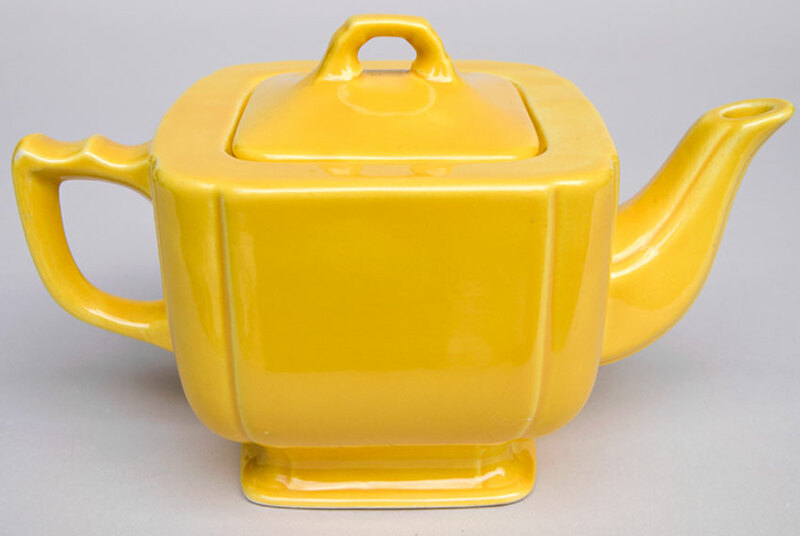 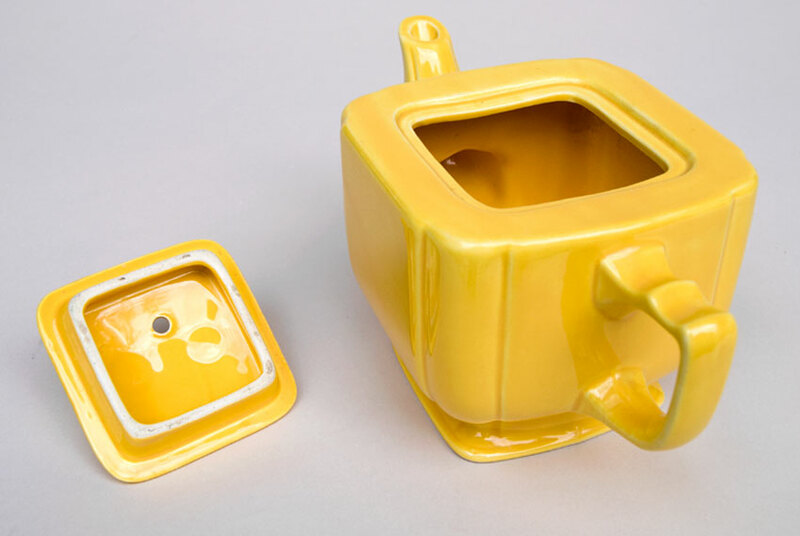 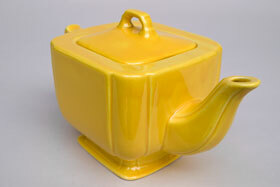 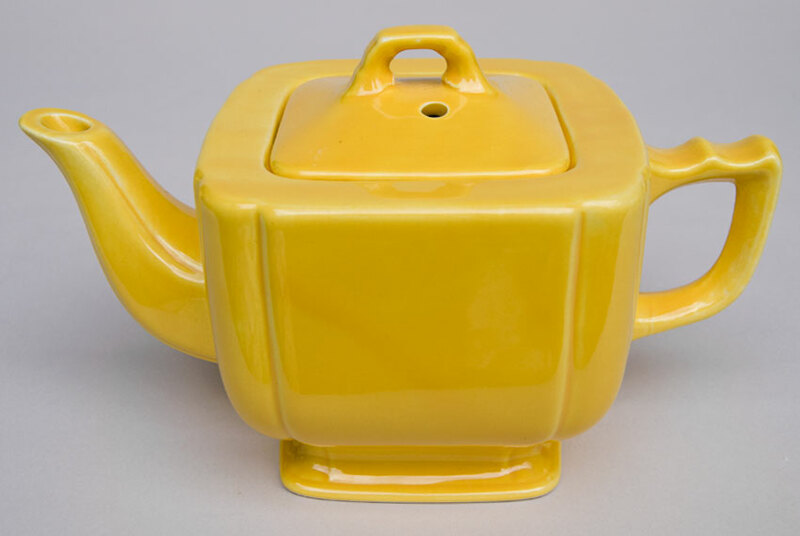 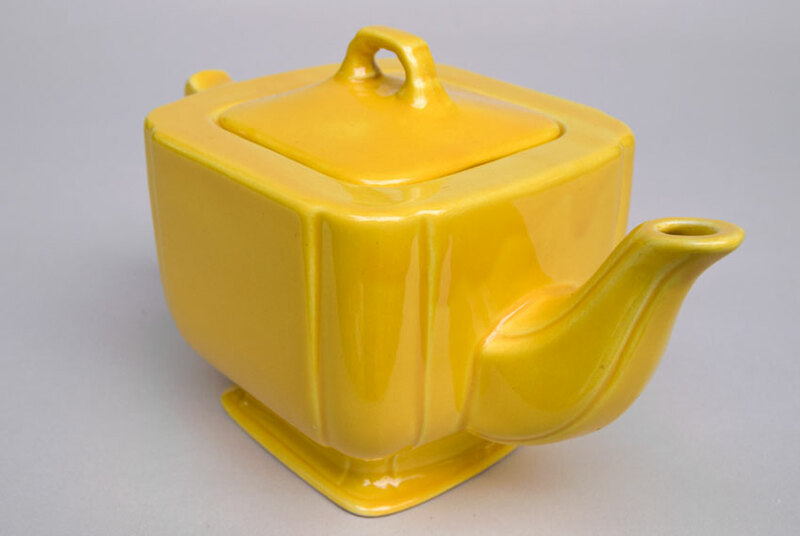 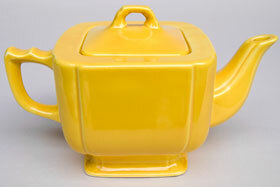 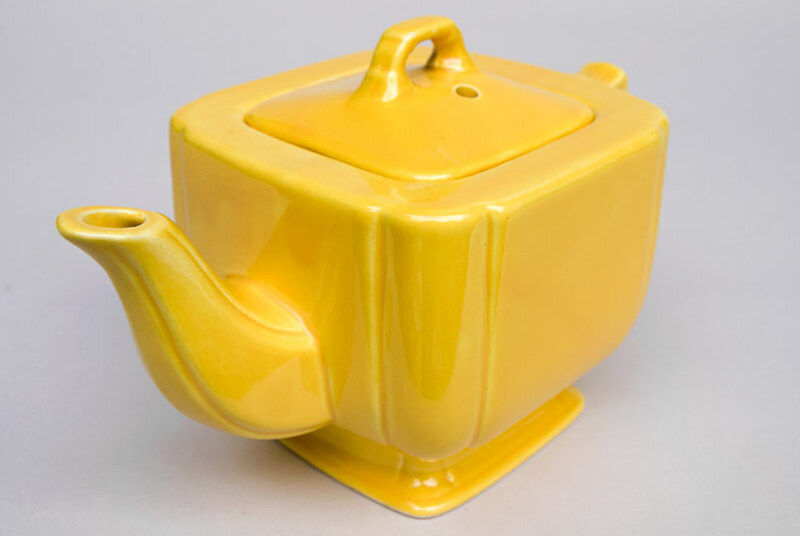 This teapot in original yellow glaze is in excellent condition with no damage, no appartent use and great bold, rich and even glaze. 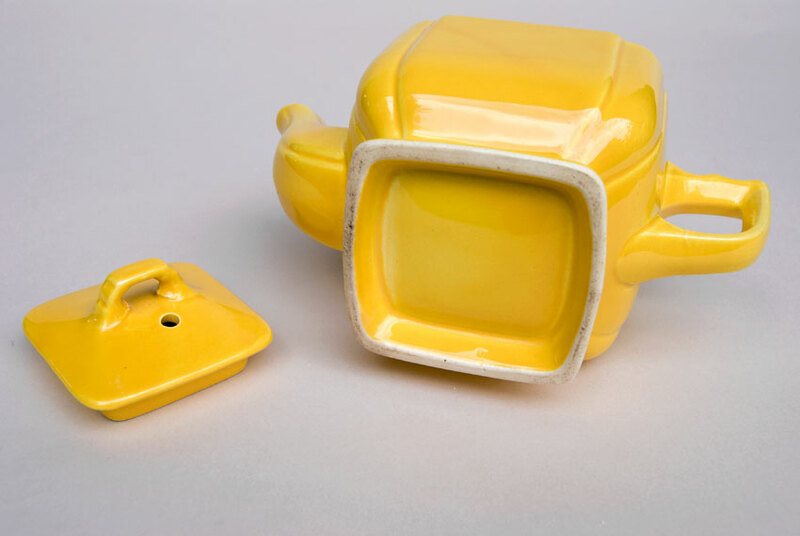 Wonderful piece even the advanced collector will enjoy.